AQUAMAN, PLAYED by Jason Momoa, converses with Amber Heard's character. It’s no secret that the DC Comics’ Extended Universe isn’t exactly setting the ratings charts on fire. With only one good film (Wonder Woman), one mediocre film (Man of Steel), two massive disappointments, and one cursed abomination (Suicide Squad), their fan following has paled in comparison to Marvel’s rival series. In spite of this dark, depressing portfolio, DC has managed to add another “good” film into its roster: Aquaman. Aquaman—played by Jason Momoa—is a half-breed of a human and an Atlantean. Raised on the surface, he loses his mother at a young age. 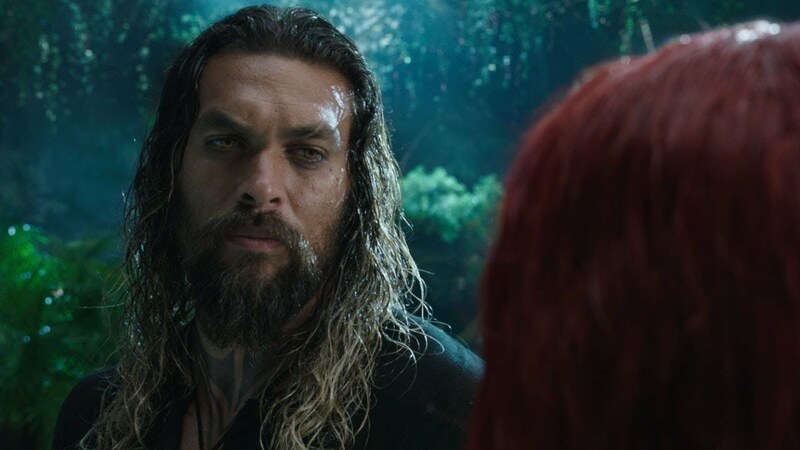 During the course of the film, he meets Mera, played by Amber Heard, and battles his tyrannical younger brother in order to save both the surface world and Atlantis. If you’ve seen The Lion King, Thor, Black Panther or pretty much any origin story with a male lead made in the last 50 years, Aquaman’s synopsis sounds very unoriginal. While the story sounds a century old, the animation and special effects are cutting edge. Every single underwater wide shot looks like it could be a desktop wallpaper. All the action in the film is impressively directed and gorgeous to behold. This is a film that I’d recommend watching in IMAX. It’s truly baffling that this wasn’t nominated for an Oscar in the visual effects category. Speaking of awards, Black Panther certainly didn’t deserve to be nominated for what’s considered the most prestigious movie award—best picture. Not when The Dark Knight, Spider-Man: Into the Spider-Verse, Logan, and so many other great superhero films were snubbed. With that said, despite their similar stories, there is one aspect of Black Panther that is noticeably better than Aquaman: the villain. Aquaman’s main villain is as forgettable as whoever the villains were in Doctor Strange, Iron Man 3, both Ant-Man movies, and everything else in the mediocre half of Marvel movies. In fact, the villains were so bland and generic that I couldn’t remember their names as I walked out of the auditorium. That’s a new low for DC, whose films used to be known for their villains. Something else I miss about old DC films is their tone. DC films never undercut moments of dramatic tension with jokes. They were sincere; they were bold enough to risk being cheesy in hopes of landing an emotional punch. With every passing Marvel movie, it becomes harder to take the drama seriously when the tension is repeatedly muddied with an insipid joke only that only serves to draw hollow cackling from teenagers with nonexistent attention spans. Aquaman was a refreshing reminder of why the old DC was so good. Wonder Woman and Aquaman try to offer old-fashioned storytelling, drama, and a dearth of vapid comedy. This is what I miss about Christopher Nolan’s infamous Dark Knight trilogy. Modern DC films are a hit or miss, and unfortunately, they miss far more than they hit. Aquaman is good, but it’s not great. It’s definitely better than Thor, but it’s not as good as Black Panther or Wonder Woman, and it pales in comparison to anything in The Dark Knight trilogy. I wish the story were more original, the side characters more interesting, and the villains more memorable. But they’re not. It’s certainly not the film that’ll kickstart another golden age for this studio as many hoped it would’ve been. For now it’s just a good film, nothing more.